Did anyone see this coming? Goa Madness Records is one of the new kids on the block and this label has had quite the beginning. Their first release was a compilation called Memories From Goa Madness. They played it safe and it was tried and true goa trance. Nah, it was better than that in this reviewer's opinion. So fresh off the success of that release they drop this bomb on us. This is the debut album of Alexandre Cohen and it is beautiful. So many swirling melodies and those acid sounds are verily delicious. Set your phasers to maximum twirling because this is a journey that catches you up and doesn't let go. Twists and turns abound and the sound is terrific. It's a full and rich atmosphere with screeching leads and layers of immeasurable beauty. I'm sorry I don't have anything funny to say or silly gifs to post. This is just a fantastic release and rightly deserves consideration for goa trance album of the year. Superb job my friend. The 7 th Experiments is waoo, i love it, good release here. This album is a bit too loud i think. The music is nothing short of very very good. Experiments is one of the best tracks of the year! Killaah tune! Whole album is bloody fantastic. Can't wait for Ephedra live this weekend!!! Not long had this album, but I'm loving it more and more with every play through! Great album. I was always a fan of Ephedra and this album definitely delivers. Need more more and MORE of Ephedra, NOW!! 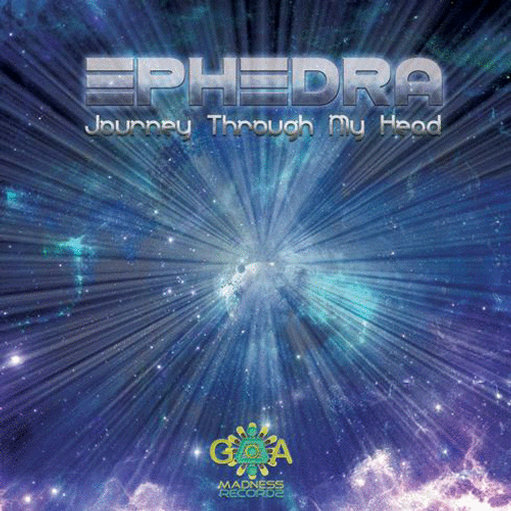 Very entertaining Goa album from Ephedra! Absolute winner for me is The Walk of the Little Green Man. A swirling journey of goa smashed in your face with a beat that almost never stops. This album certainly got all the stuff you'd ever want from a Goa CD. Expansive synth leads soaring melodies and screeching acid layers. Solid album this one indeed. I prefered the tracks in middle as they had these really nifty flowing basslines, but the rest of the tracks are indeed really good as well. This album is SO STRONG! One of my favorite new school albums. Every track is very good but tracks 4, 5 and 7 are exremely great! ​That I'm finding out about now at least (better late than never) thanks to you guys!